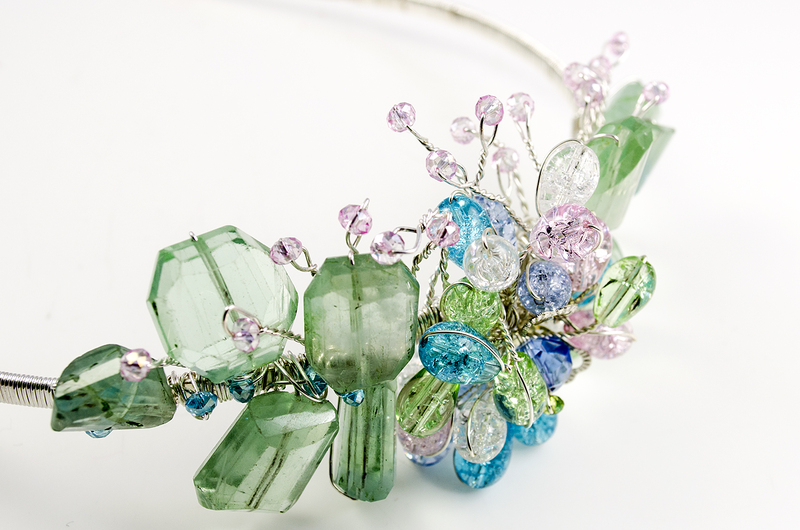 I decided to go with the romantic theme inspired by the colours of the beads I was sent on most of the pieces. 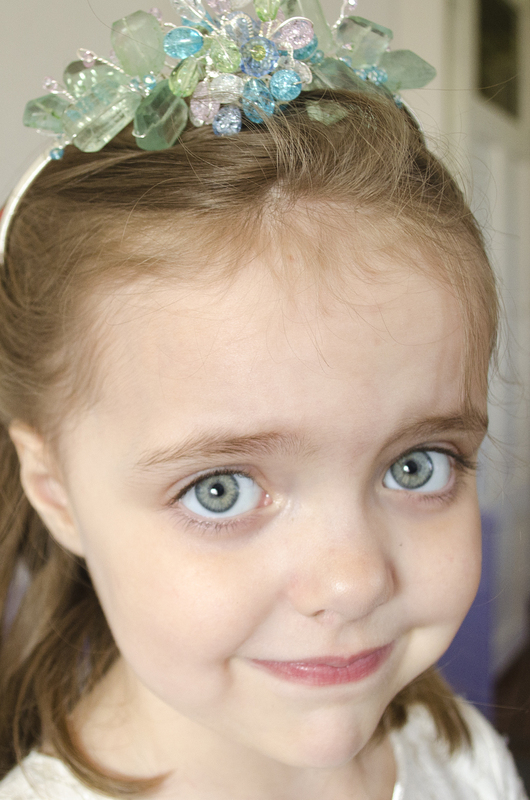 My daughter adored everything in my package and is in a major princess phase right now so I made a tiara for her with the wrapped focal piece I received from the Dry Gulch ladies. Can’t you tell how much she loves it? 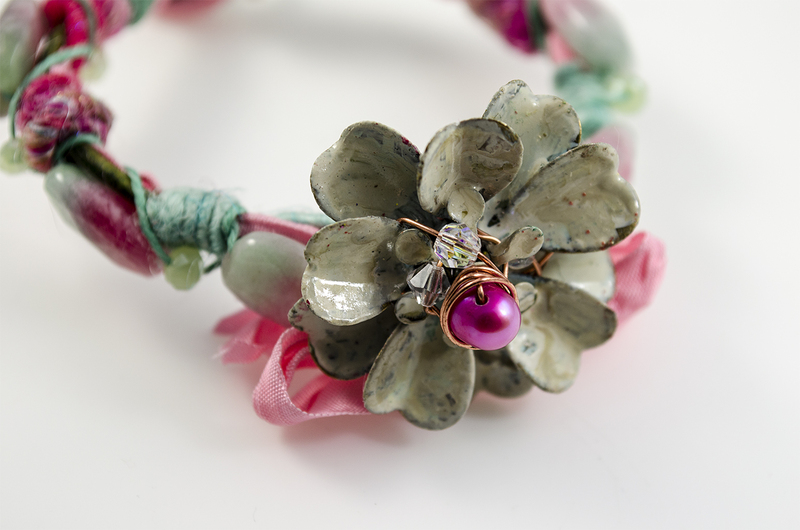 This bracelet was made with a flower component I was sent which I have added a few accents to and made the bracelet part with Candy Jade beads, Irish waxed linen etc. Bow added made with seam binding ribbon sent by Dry Gulch. 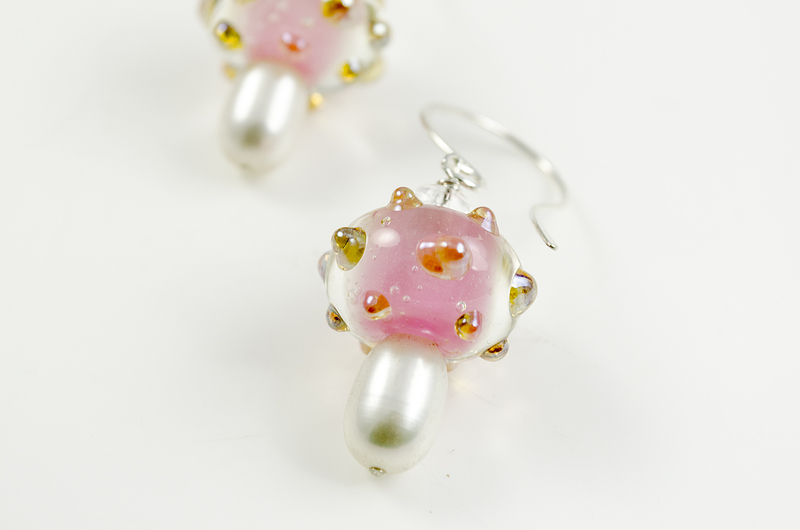 Simple yet feminine earrings made using Dry Gulch’s lampwork beads, freshwater pearls and sterling silver ear wires. 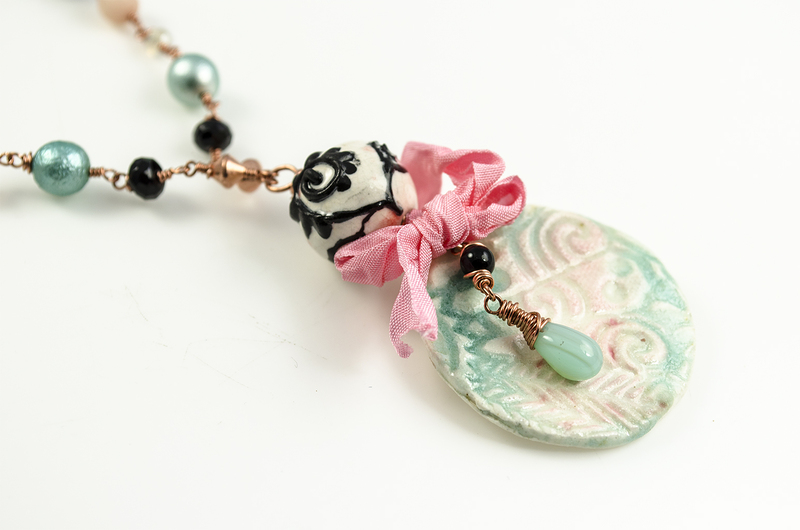 This is a necklace featuring a ceramic focal made by Dry Gulch and a ceramic bead made by yours truly. I have yet again used the seam ribbon as an accent. 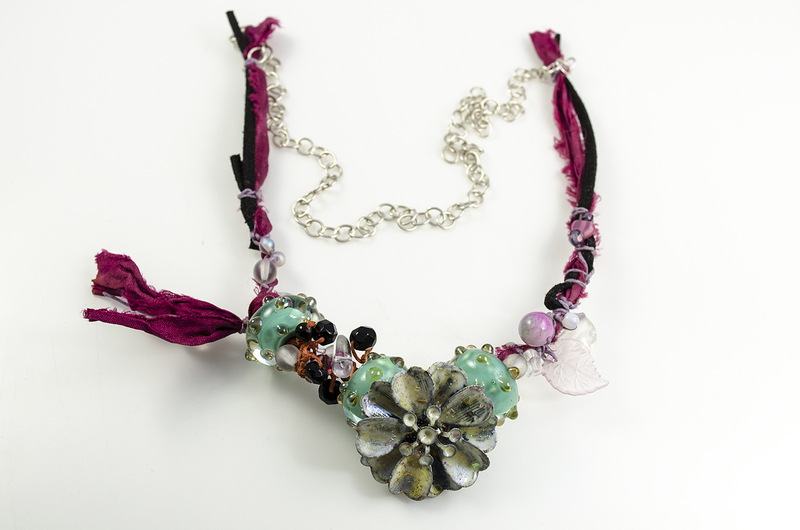 This is a necklace I made with a Dry Gulch flower, their own lampwork, Sari Ribbon, candy jade, Irish waxed linen etc. 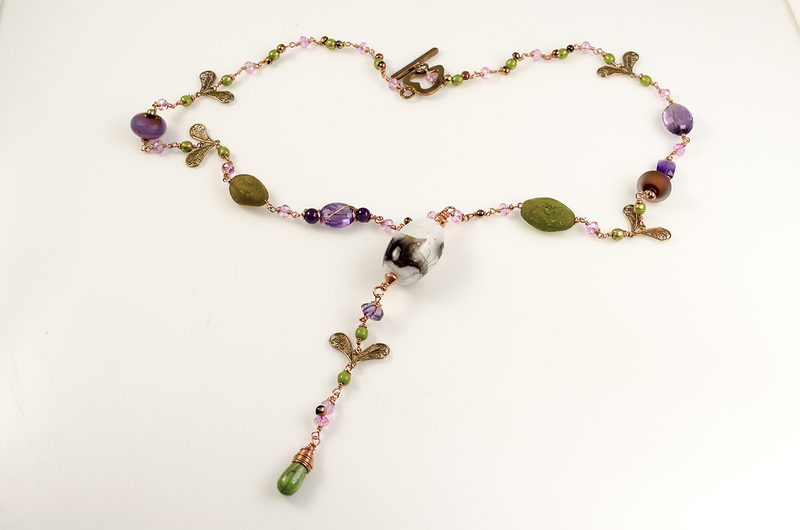 Last piece: a necklace incorporating some copper components and sparkly beads I had received from the girls. 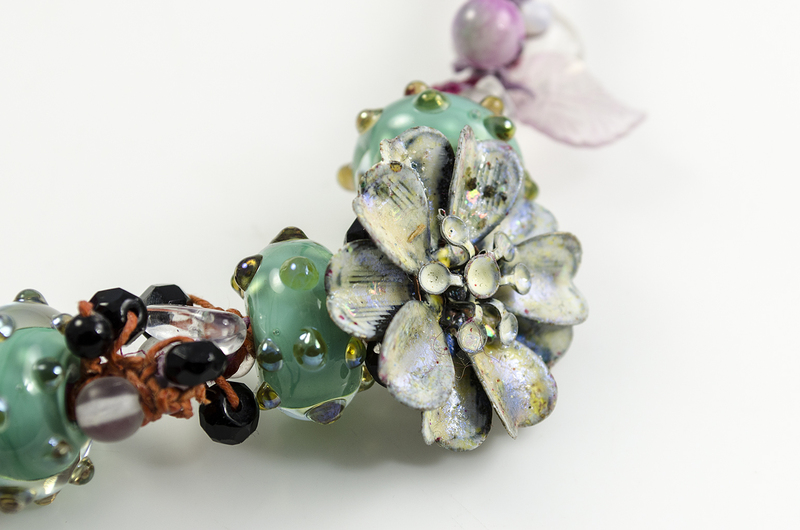 I also added lampwork beads from Karin Hruza, the focal was made by another artist, but I cannot remember her name unfortunately. You may wonder: will I give up my comfort zone of rust and rustic for pretty and pink? The answer is no. I have got so much more to discover in my world of ‘organics’. It is likely however that my designs will incorporate more sparkle and femininity from now on:) I like the contrasts and intend to explore this more in depth. 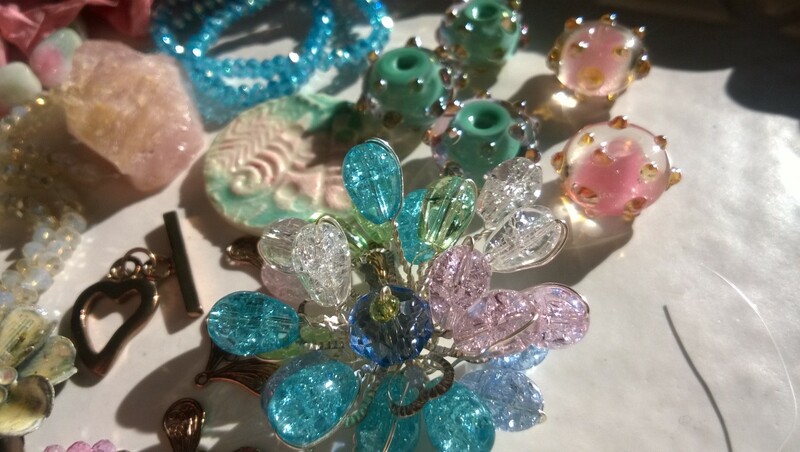 Last but not least a big, warm thank you to the Bead Peeps hostess Linda Anderson and all he helpers for arranging the swap and their hard work. I appreciate all the effort you have put into making this happen! 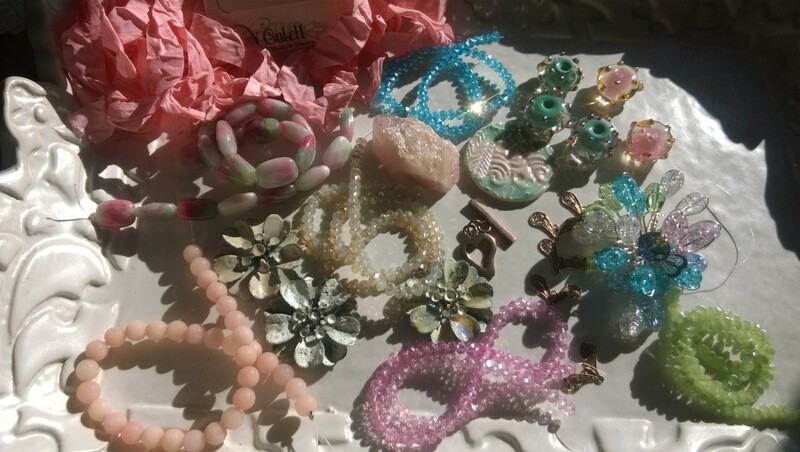 The reveal date for the Bead Peeps Blog Hop is almost here and I since I haven’t actually posted anything about what I sent and received I thought I would do so now. 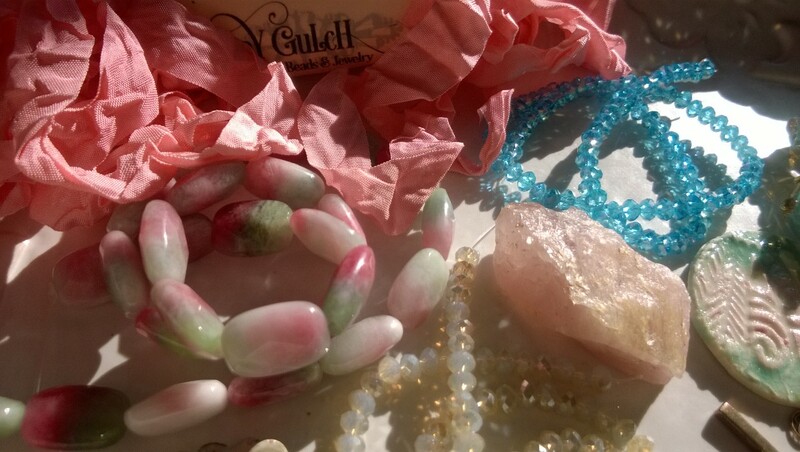 I received a very generous selection of pretties from the Dry Gulch girls. All in very feminine pastels. Although extremely pretty, this felt like a real challenge for me as I have been focusing on organic materials and designs for a long time. 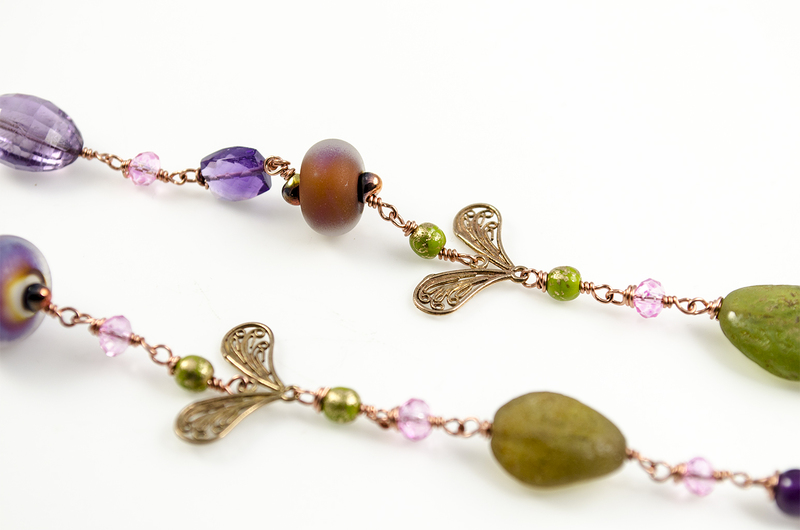 I choose to send earthy and organic beads to the ladies. 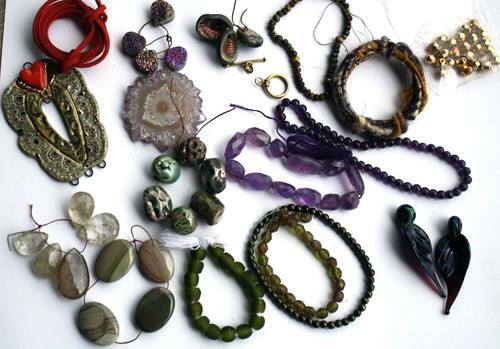 Some of my Raku beads, traditional ceramic beads, Amethyst, Czech beads etc. It is going to be so exciting to see what they have created!